You may have noticed I have a thing for free “as in speech” software. Yes, it is “free as in beer”, but more importantly, I think that once mastering a GPL tool, you are better off later on. You see, with free software, no one needs to increase the sales of it every year by forcing new and retarded features, flashy and undesirable UI changes, cutting the support for old versions and bloating the size and complexity for no apparent reason. So, Blender. It’s even completely portable! After a while I felt right at home, even though I have never used it before. 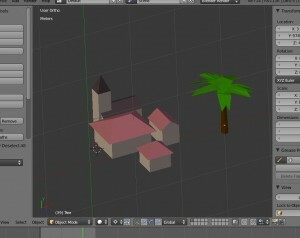 I plan to build simple low-poly objects of trees, houses, ships, seagulls, dolphins, whales, starfish and maybe we can throw an octopus in it. So there. 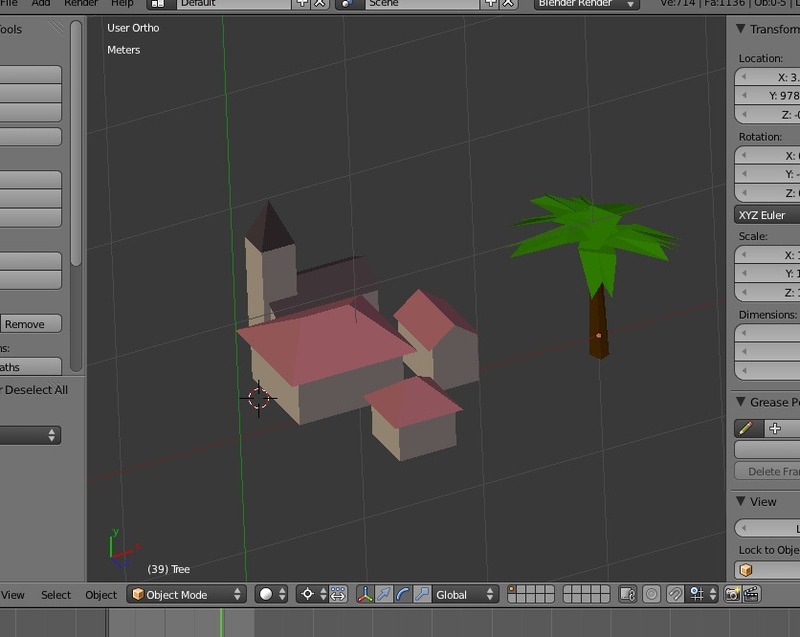 After a couple of hours I had a tree and few low-poly houses. Enough to get us started.